With AccessPatrols comprehensive reporting utility, an organization can address it’s security compliance of mobile and storage devices. 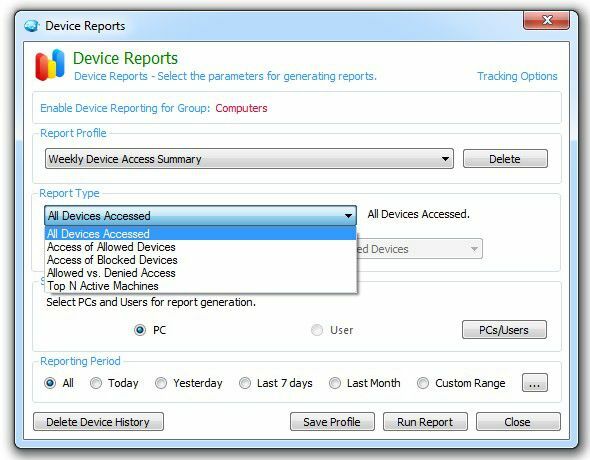 Choose from our various reports to analyze removable device usage and identify employees that frequently abuse the endpoint device policies. Using the intuitive reporting tool, generate comprehensive reports that highlight device usage by computer or user.